We are an English-speaking paragliding school in the beautiful Swiss Alps offering BHPA and FSVL beginner and advanced courses as well as the best fly-guide packages you could hope to find. 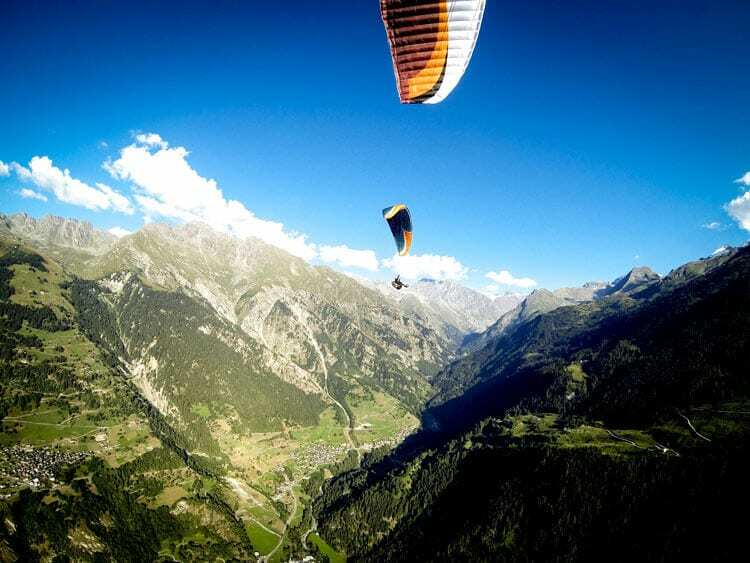 Enrolling on a BHPA course in Switzerland is the quickest, easiest and safest way to learn to paraglide and get qualified in just one holiday. Paragliding students and pilots can come here from all over the world and learn to paraglide in English and enjoy a full package with accommodation as well as knowing that they are in the safest country to enrol on a paragliding course. As a flying school operating in Switzerland, we are ultimately governed by the Swiss Civil Aviation Authorities, OFAC. Verbier is an ideal location for every type of pilot. Our wonderful micro-climate and perfect hills make it an ideal place to learn to paraglide and that is why we are able to guarantee that all of our beginner courses can be completed during your stay. If you want to be sure to get a paragliding licence quickly and easily then this is the perfect way to do it. We also specialise in Alpine fly-guiding for qualified paraglider pilots. This is a fly-guide service where a guide will actually fly with you and not only supervise you for safety but also coach you and help you to get the best flying possible during your stay. Here at Verbier-Summits we feel that it is important during your holiday that not only the flying is memorable but also your vacation as a whole and that is why we provide beautiful and comfortable accommodation. Stu and Mike have been flying for over 20 years and when they came to Verbier a dream came true when they created their paragliding school, Verbier-Summits. With this school they have created a truly unique paragliding experience that caters for every type of pilot.